If you’re keen to give drag racing a go, you’ve come to the right place. 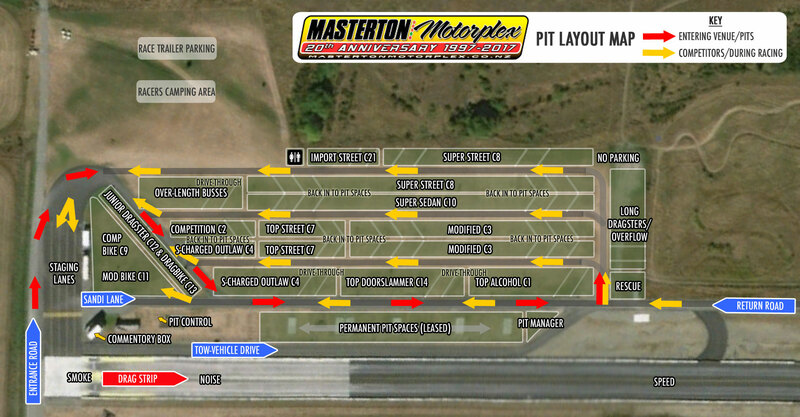 We’ve put together some useful information that will make it easy for you to get onto the drag strip. Competition Day License (if you don’t hold a season competition license) – $30 (lasts for two day meeting). You’ll need a drivers license (restricted is acceptable) a pair of shoes, suitable clothing, and a compliant crash helmet, and of course, a registered and warranted car or motorbike. The applicable standards for crash helmets can be found in the NZDRA Rulebook. WHEN SHOULD I ARRIVE AT THE TRACK? You must get your car or bike scrutineered and entered before 9am on Saturday, so plan to be at the track at least an hour before the 9am close-off. One of our scrutineers will inspect your vehicle to check on a few critical safety elements. The requirements depend on the class of vehicle but most entry-level classes require only a WoF and current registration, or a NZDRA Tech Inspection and logbook. A couple of items that sometimes get forgotten by new racers, are 1) you must have a radiator overflow bottle; and 2) your battery must be properly clamped. If your car runs quicker than 13.0 seconds, there are additional requirements – you should read the NZDRA rule book for more information. You need to be aware that this inspection is NOT a full safety inspection nor is it a warranty that your vehicle is safe to race. As the driver you are responsible for the vehicle’s safety. For further information check section 4.02 of the rulebook here. HOW WILL I KNOW WHAT TO DO WHEN I GET ON THE TRACK? Soon after 9am, there will be an announcement over the pit PA system calling all new drivers who want to have a walk-through of the start line and other procedures. We strongly suggest you attend this briefing. It usually starts at about 9:10am, by the pedestrian crossing in the staging lanes. DRIVERS BRIEFING – WHAT IS IT, AND DO I HAVE TO GO? All drivers/riders and crew must attend the official drivers briefing usually at 9.30am. It is held outside the entry booth. ANY HOT TIPS FOR A ROOKIE? Racing is unpredictable, and gives you a massive adrenaline rush. The best way to be consistent, and to have the best chance of winning each race, is to be well organised and establish a routine (and stick to it)! 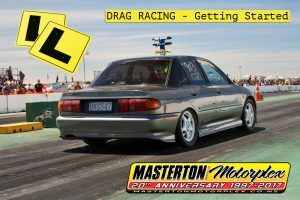 Drag racers are a friendly bunch, and getting to know your pit neighbours will make it easier, especially if you need help selecting a DYO (see DYO section further down the page). There are also crew members at the track at all times, so there’s always someone you can go to with a question. If the crew member isn’t sure of the answer, they’ll direct you to somebody that can help. HOW DO I KNOW WHEN IT’S MY TURN TO RACE? All races start with a call over the PA for your class to get ready, then about 5 minutes later for your class to stage. The PA call will also advise what staging lane to go into. We suggest that for your first time you follow other racers into the staging lane, so you can see what they do. The cars in front of you will creep closer to the drag strip, so keep up, but please do not stop on the pedestrian crossing. It’s when you’re in the staging lanes that the adrenaline starts to build, and having a routine will help calm the nerves. This is a trick that seasoned racers use to ensure consistency on the start line. I’M ALMOST ON THE TRACK – WHAT NEXT? As you get to the front of the staging lanes, the track officials will wave you onto the track. Turn onto the track and line up with the centre of the lane you are in. Watch the track officials that are in the centre of the track, near the start line; they will signal you forward. Creep forward until your driving wheels are in the water box (this will be obvious on the track). When signaled by the starter you can do your burnout (if you want to). IT’S BURNOUT TIME – WHAT ARE THE RULES? A burnout is used to heat the tyres and make the rubber a bit stickier. Many drivers also do this to entertain the crowd. There are two rules about the burnout. The first rule is that you must NOT do a stationary burnout. Once your wheels are spinning you must allow the vehicle to creep forward. If you stay in one spot, you will burn through to the concrete and damage the track. The second rule is that street cars/bikes must not continue their burnout past the start line. This is because street tyres are made of hard compound rubber and will leave tiny balls of hard rubber (called “marbles”), and they can also start to peel up the prepared racing surface. Both these issues can reduce traction for the next cars. The starter doesn’t have time to check if you are using slicks or standard street tyres, so all street cars/bikes must follow these rules. If you break the burnout rules, the starter may warn you or ban you from further racing. I’VE DONE MY BURNOUT – WHAT NEXT? Next, you need to stage your vehicle. To do that, first you need to watch the starter. When ready, the starter will wave you to the start line. Once you start moving, watch the Christmas tree. Creep forward until the top set of lights come on (called ‘pre-stage’). This indicates to you that you are about 175mm (7 inches) away from the stage beam. Stop and wait for the other car to do the same. Once both sets of top lights are on, creep forward until the second set of lights are on then stop. You are now at the stage beam (and just behind the start line). This process is called staging. Once both lanes have the second set of staging lights on the starter will start the race. Be ready, as this will happen pretty quickly. The yellow lights will start to flash down. Each light will stay on for 0.4 of a second, then go out and the next light will come on. When the bottom yellow light (the third one) comes on, you go!!!! By the time you react to the light and the front wheel moves to the other side of the stage beam the green light will be on (more on the ‘reaction time’ further down the page). At this point you drive down the drag strip as fast as you can. Try to be consistent; always change gear at a pre-determined engine speed (revs), and once you have this perfected, do the same thing every race. This will help ensure your time (called the elapsed time or ET) is as consistent you can make it. I THINK I’M OVER THE FINISH-LINE, WHAT DO I NEED TO DO NOW? Once you get to the finish line (marked in several ways; paint, lights and signs) start to brake. At speed, the end of the drag strip comes up very quickly, so don’t admire the view, get braking! When you get to the end of the track (or the first exit if you are going slow enough) get ready to turn off. For safety, the left lane always turns first. This is to ensure you don’t get hit if you are in the right lane and turn in front of the racer in the left lane. If they are way behind, the crash crew (in orange overalls) will wave you through. If you are going too fast to turn, don’t worry, continue straight into the emergency braking area, and the sand trap if needed. I MADE IT TO THE END OF THE TRACK – HOW DO I GET BACK TO THE PITS? Once you are on the return road, let out a whoop – you have just completed your first drag race! Drive down the RIGHT side of the return road (like you are driving in America) and stop at the time slip printer at the entrance of the pits to get your time slip. Return to your pit and do what you need to do to get ready for your next race. If you break down during the burnout, look at the starter and wait for his instruction. He will usually let the other car go, then the track crew will push you back. Do not get out of your vehicle unless signaled to do so by the starter! If you are drifting out of the lane while you are racing and you cannot get the car/bike straight in the ‘groove’ (the black prepared part of the track) then you must lift off the throttle to allow the car/bike to straighten. Once the car/bike is out of the groove it becomes hard to control, especially if one tyre is in the groove but the other one isn’t. Losing the race is better than losing the car/bke. If the car/bike loses power (engine, gearbox or axle, it doesn’t matter), pull over to the side of the track straight away, so you are out of the groove. This is to minimise any fluids which might leak onto the groove, and will help reduce the cleanup time. The crash crew will come and get you, either with a tow or on the rescue transporter. Don’t get out of your car until you’re sure the other racer has gone past you, or you’re signaled to do so by the rescue crew, or you are in immediate danger (for example if there is fire in the drivers compartment). When you do get out of the car make sure you know where other vehicles and the crash crew are, so you don’t get run over. We have trained crash crew and an ambulance at the track. They are trained in attending motorsport incidents, rescue and firefighting. Your crew/friends/family must stay off the track and let the track crew do their job. WHAT IS A REACTION TIME? The reaction time is very important. If you have a slow reaction time then the other driver will be off down the track before you even start, and you will struggle to catch them. The reaction time is the time between the green light coming on, and your wheel leaving the stage beam. A perfect reaction time is 0.00 seconds. Anything below 0.100 seconds is good and below 0.050 seconds is very good. You need to be consistent and get good reaction times to be a regular winner. Once you are consistent, there are several techniques to improving the reaction time, including moving the car/bike closer to the start line when staging or making changes to the vehicle’s tuning/suspension/clutch pedal to get it to react (move) faster from the start line. Fractions make a big difference, so try things slowly. WHAT DOES IT MEAN WHEN THE RED-LIGHT COMES ON? If you leave the stage beam before the green light comes on, then the red light comes on and you are disqualified. Most racing is conducted under the handicapping system called “Dial your own” (DYO). You get to choose your own handicap, and the Christmas tree lets the slower vehicle go first. The head start is the difference between the two DYOs. Before each round of eliminations you will need to write your DYO on the sheet at the entry booth. The DYO is only used for the eliminations, so is not required for practice and qualifying. Practice and qualifying rounds give you an opportunity to gauge the vehicle’s performance so that you can select the best DYO for your elimination races. With DYO, the slowest vehicle of a pairing gets a head start by the difference between the two DYOs. If your ET is quicker than your DYO, you are disqualified (called a ‘breakout), so you need to choose a DYO that is a little bit quicker than your vehicle is capable of (so you don’t breakout) but not too quick or the head start will be too much if you are the faster vehicle (or not enough if you are the slower vehicle). That’s the basics; if you’ve got a good understanding of the above, you should be ready to have a go. Don’t forget, there are crew members at the track at all times, so there’s always someone you can go to with a question. If the crew member you ask isn’t sure of the answer, they’ll direct you to somebody that can help.